Capital gains taxes can reduce your investment profits. Successful investing often brings the unfortunate byproduct of taxes. When you take a gain, you have to report it to the Internal Revenue Service. Unless you're in the lowest tax bracket, you'll have to pay at least some tax on your profits, sometimes at a significant rate. This is true even if your gains come from your mutual fund investments. With a plan in place, however, you can minimize or even eliminate mutual fund capital gains. Most mutual funds have a primary objective of generating profits for investors. A tax-efficient fund is a mutual fund with an additional objective of minimizing negative tax effects for investors. Tax-efficient funds don't guarantee they won't make any taxable distributions. However, the investment strategies they use can often avoid burdening shareholders with taxes. For example, tax-efficient funds balance winning and losing holdings to avoid passing on taxable capital gains to shareholders. Many mutual funds make capital gains distributions to investors. Typically, these payouts come near the end of the year. Growth funds, such as those that invest in stocks, are usually more likely to make capital gains payouts than income funds, which invest in securities such as bonds and certificates of deposit. Fund companies publish the dates when they will make these distributions every year. If you want to avoid them, you can sell your fund before the appropriate date. You can't control whether your fund will make a capital gains distribution. However, you can avoid triggering your own capital gains by hanging on to your mutual fund shares. Even if you have a profit in your fund, it doesn't become taxable until you sell your shares. If you buy and hold your investment, you don't have to worry about generating taxable capital gains. 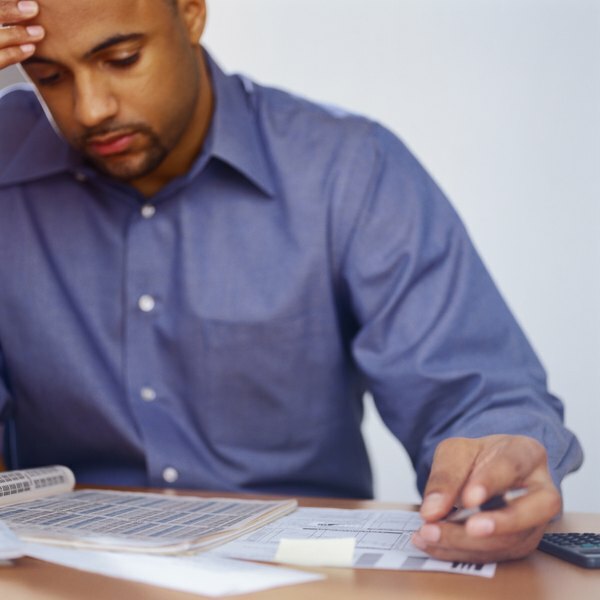 The IRS allows you to pair up gains and losses to minimize or even eliminate the taxes you owe. No matter how much of a profit you take on your mutual fund shares, if you have losses in other investments equal to your gains, you'll end up with no tax liability. As of 2013, you may even be able to reduce your taxable income by up to $3,000 if you have additional excess losses. If you generate a capital gain in an individual retirement account, you don't have to worry about paying any tax until you take the money out of the account. A traditional IRA is a tax-deferred investment, so you don't pay taxes as you earn profits in the account, only when you withdraw them. At that point, all of your distributions become taxable at your regular income tax rate. While the tax-deferral of a traditional IRA is a benefit, the fact that you have to pay ordinary income tax on your withdrawals is usually a negative, since capital gains rates are nearly always lower. Can I Change Funds in a Roth IRA?